Big warmth and size to kick cold to the curb. U.S. Military Surplus Embroidered Blanket, 64 x 84 , New is rated 4.5 out of 5 by 2. Rated 5 out of 5 by JG38 from Awesome. Too bad these sold out already. At $9 each, I should have bought a couple more. The blanket is heavy and well constructed. It had a musty odor when it arrived, but I washed it on a gentle cycle, tumble dried it on low heat, then let it air out outdoors for a couple of hours then I washed and dried it again - no more odor. I am impressed. Rated 4 out of 5 by Steve from Nice blanket Bought a few of these for hunting and camping. 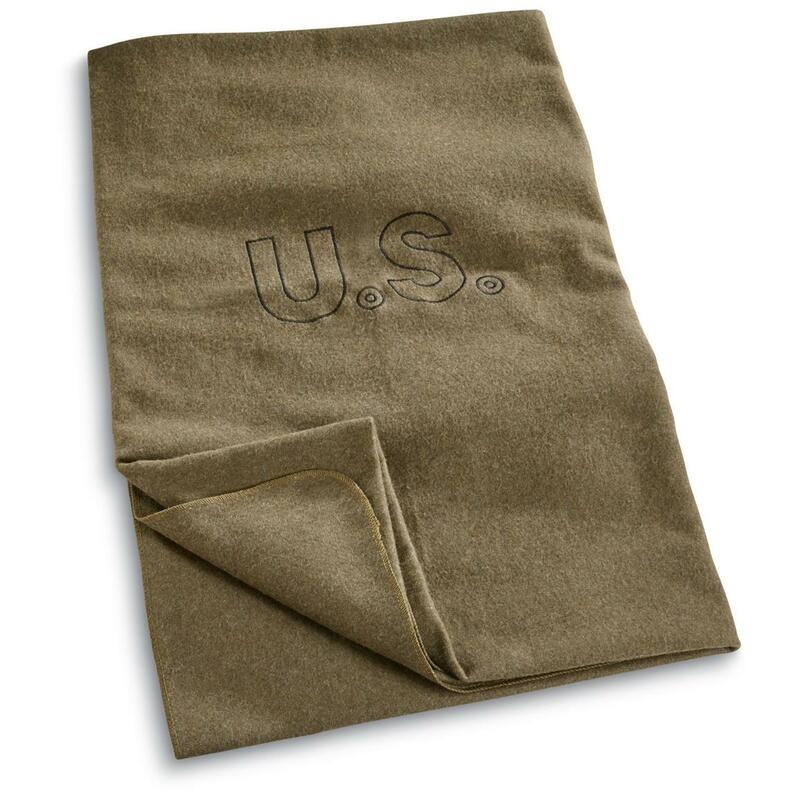 I've had my share of wool blankets in the Marines, but never a new one, so it hard to compare apples to apples. The blankets are new and very tightly woven. To remedy this, I washed the blankets on the delicate cycle in cold water, then a gentle cycle in the dryer with a couple sheets of bounce. I changed the lint basket every 15 minutes. At first the was an enormous amount of lint, but after about an hour in the dryer, the blankets were softer and more in tune with an issued blanket.The blankets don't have a makers tag or nsn, but they seem to be pretty good blankets. Not sure why these are labeled officers blankets, as I was issued the same wool blankets at Parris Island and Quantico OCS!